KAMPALA – Bank of Uganda officials are on Friday morning back to parliament as MPs push for evidence of inventory reports on the closed commercial banks. 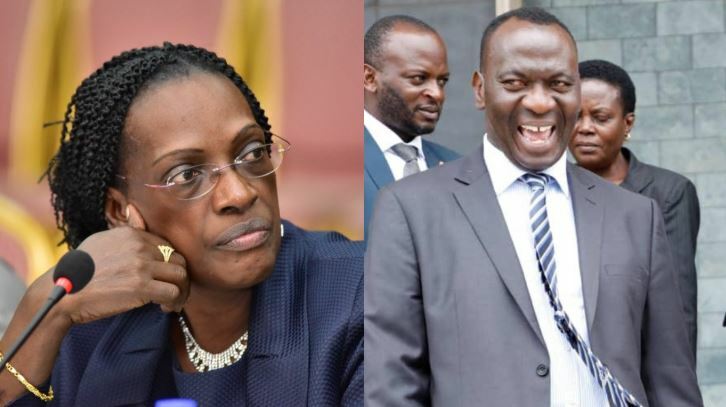 The former executive director for Supervision Justine Bagyenda and Mr Benedict Ssekabira, the director of Financial Markets Development Coordination, are being grilled on how the value of assets of three closed commercial banks was reduced from Shs117b to Shs98b after the Central Bank took over the liquidation. COSASE Chairman Abdu Katuntu on Thursday adjourned proceedings to after both Mr Sekabira and Ms Bagyenda failed to present evidence of submission of reports to the Governor Tukmusiime Mutebile and appointment letters for Mr. Sekabira as demanded by Committee vice chairperson Anita Among. Governor Emmanuel Tumusiime-Mutebile on Tuesday blamed Mr Ssekabira and Mr Katimbo Mugwanya, another BoU official, who had told MPs that they filed liquidation reports about the three banks for the missing reports.